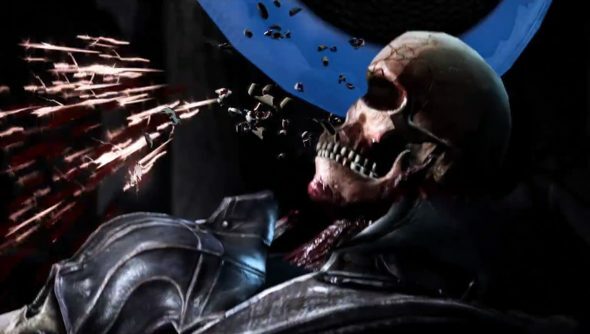 The theme of Mortal Kombat X’s latest trailer is “normally harmless objects being used to slice people apart,” because it’s all about Princess Kitana and Kung Lao, who use fans and hats, respectively, in inappropriate ways. Slap your eyes on the delightfully gory trailer, below. Mortal Kombat X’s twist is that each fighter has multiple fighting styles, which they can switch between in mid-battle. You can see Kitana and Kung Lao using different skills to take out their unfortunate opponents in the video. Goro is also teased again, but he’s been locked up in pre-order jail, despite being a series mainstay. Booo.